Learn how to optimize daily activities: Process optimization with Kaizen thrives on continuous improvement on a small scale. Kaizen is a way of thinking and has to be implemented across all levels. In almost all areas of life the pressure to optimize is increasing. This also applies to companies and projects. Even if your colleagues are asking for more process improvements, you shouldn't jump at any optimization approach unprepared. Of course, the project structure is a good way to carry out a test run with different models in selected projects. But if you want to improve project management processes in a sustainable way, you should first get an overview of the various possibilities - from radical methods to fundamental ways of thinking. As a small orientation in the optimization jungle, we introduce you to the best-known approaches for process optimization. The first step is Kaizen - the principle of continuous improvement. We don't start with a classical method, but with the Kaizen management method from Japan. Just like quality management, Kaizen is not used only once, but must be anchored in the company and among its employees. Originally, the management concept was developed in Japan and the term "Kaizen" is composed of the words "Kai" (=change) and "Zen" (=for the better). Instead of focusing on major groundbreaking changes, Kaizen focuses on small, continuous improvement. The way of thinking is also based on the assumption that everything can be improved no matter how small or large the process is. A nice idea of Kaizen is that the employee is no longer seen as a small exchangeable wheel, as he was on the assembly line during industrialization. Now every employee has significance, bears responsibility for his or her tasks and makes own suggestions for process optimization. Another advantage is the continuous process in small steps. This makes it easier for project staff to adapt to the changes. Teamwork is at the heart of the concept: processes and procedures are regularly analyzed, discussed and optimized together. Managers and employees are constantly working towards the common goal of well thought-out and optimized project processes and thus better products and services for customers. In this way, Kaizen contributes to higher customer and employee satisfaction and helps to improve all factors of the project triangle. 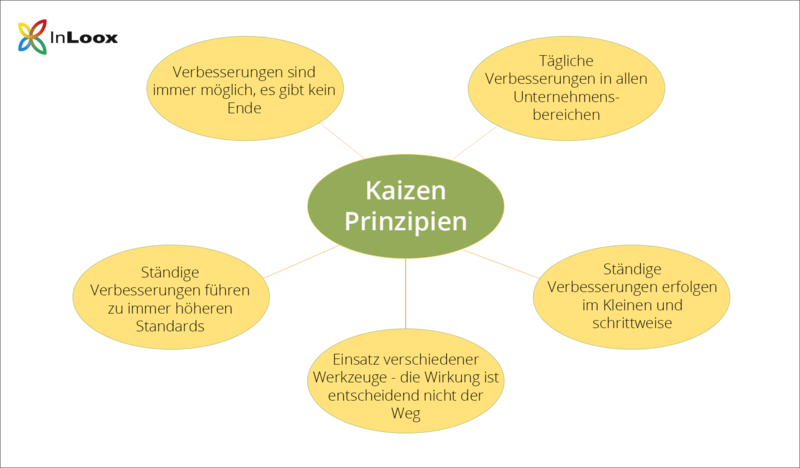 How To Implement Kaizen in Project Management? Management: Introduces Kaizen and creates the necessary framework conditions. Head of department: Supports the implementation of the framework conditions and promotes the competence of all employees, e.g. through relevant training courses. Project and team leaders: Are responsible for success controlling and assist employees in developing and implementing new ideas. 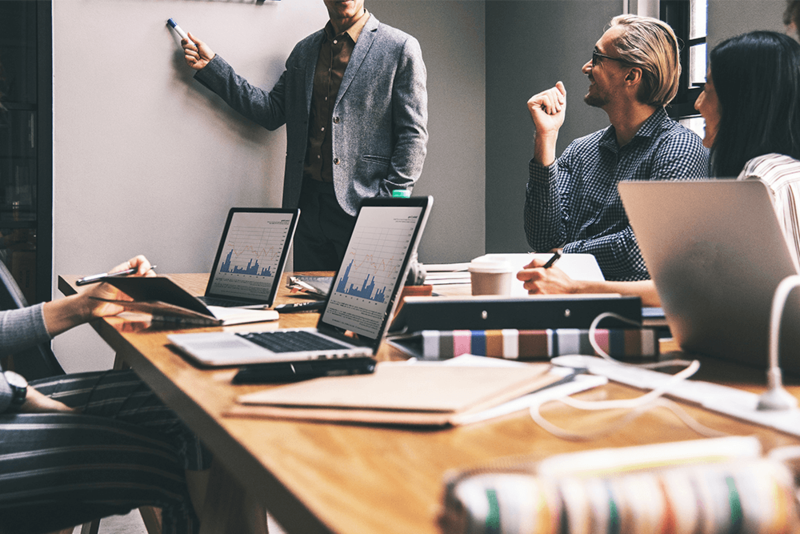 Project employees and employees at the operational level: Regularly develop and implement suggestions for improvement in their areas of responsibility. Working in small groups is often helpful here. The first step is to get into the right mindset. Start your work day with the intention of doing better. There is this very fitting saying: “It’s not about being the best. It’s about being better than you were yesterday.” With this goal in mind, you will be able to work more effectively. But Kaizen is not just about the individual, it’s something that the whole organization needs to embrace. Why? Because changes and improvements will directly affect everybody’s work. This is why the project leader needs to include the team in the decision-making process. To see whether there was any improvement in the process of your project, you need to constantly track metrics. Compare the results to past ones and try to see if there are other ways to measure your project team’s performance. This is where Kaizen becomes ‘scientific’. It’s not just simply about pondering to do things better without a concrete plan. It’s about taking action with a clear plan in mind and having concrete results to back up the improvement measures you have taken. Documenting is one thing, but you also need to assess the results. While doing your daily tasks, try to identify where you could improve your performance and which tasks you could do more effectively. Be careful not to simply turn processes upside down from one day to the next. Interventions in process structures change the everyday working lives of employees and are therefore always profound - no matter how small they may be. For successful process optimization, you need well-founded expertise in your company. If this is not the case, it is advisable to get in touch with an external consultant. You already want to get started? Then start small and first become familiar with the different theories yourself. In the next step you can then try to implement and demonstrate the corresponding philosophy and necessary structures in management, in order to gradually transfer them to the employees. Process Optimization in Project Management (1): Steady Progress with Kaizen - InLoox • Copyright 1999-2019 © InLoox GmbH. Tutti i diritti riservati.